out to focus on your own health and wellbeing? Sundays sweating it out in a stuffy gym but know you need to do something? 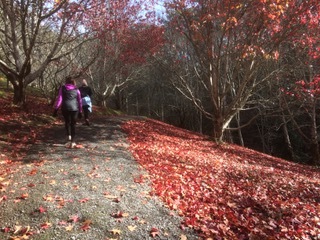 immerse yourself into the beauty of the Adelaide Hills in Autumn? Then you should join us for our Yoga Hikes on Sundays. You’ll experience a morning of Yoga, an invigorating Hike through the Adelaide Hills and Meditation. 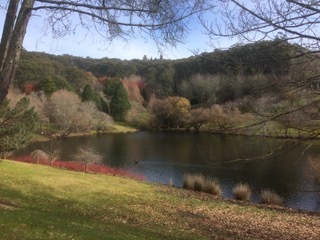 We will commence our day at 9am with a 60 minute Yoga practice in Bridgewater and then head off for a four hour Hike (two hours each way) along the Heysen Trail to the beautiful Mount Lofty Botanic Gardens. We’ll spend about an hour at the Gardens for you to have lunch and rest or perhaps explore the gardens. We’ll then hike back to Bridgewater for a lovely stretch, deep relaxation and meditation. Your day will finish up at about 4pm with you feeling that fabulous combination of a rested mind and a tired ‘zinging’ body. Beginner Yogis are welcome, the hike will be about 15kms and at a moderate level with a small amount of uphill and mostly stable even paths. Our next lot of walks will take place on April 7th & April 28th. Please contact us using the email link below to book your place.